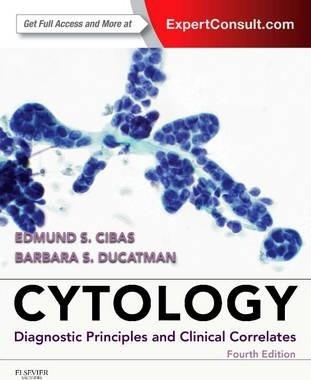 Fully updated, the 4th edition of Cytology helps you apply the latest diagnostic techniques for the interpretation of a complete range of cytological specimens. This medical reference book offers you quick access to the newest methods and adjunct tests, all in a brief, highly readable format that makes quick work of reviewing the key information available on this powerful yet minimally invasive method. It's a perfectly practical bench manual for trainees and practicing pathologists alike! Take advantage of comprehensive yet concise coverage of nearly every type of cytology, including gynecologic, non-gynecologic, and FNA. Understand the clinical implications of your diagnoses and better equip yourself to make effective interpretations with clinical correlations emphasized throughout. Make the most informed reporting decisions through an in-depth analysis of common diagnostic pitfalls. Quickly find the answers you need with succinct, bulleted text, valuable clinical pearls, and useful summaries of key points. Gain real-life perspective on a complete range of cytologic findings with over 700 crystal-clear, full-color illustrations. Search the complete contents anytime, anywhere with online access to Expert Consult. Access expert knowledge and key insights into HPV testing; new billing and coding guidelines; patient management discussions; and much more, thanks to comprehensive updates throughout. See how to perform fine needle biopsy aspiration with a new 30-minute video online at Expert Consult. Narrated by pathologist Dr. Amy Ly, the video includes a patient interview, precautions, and demonstrations of techniques. "An excellent, manageable read as well as a useful quick reference. This reasonably priced book is well worth the investment. ?-International Journal of Gynecologic Pathology, review of the last edition.